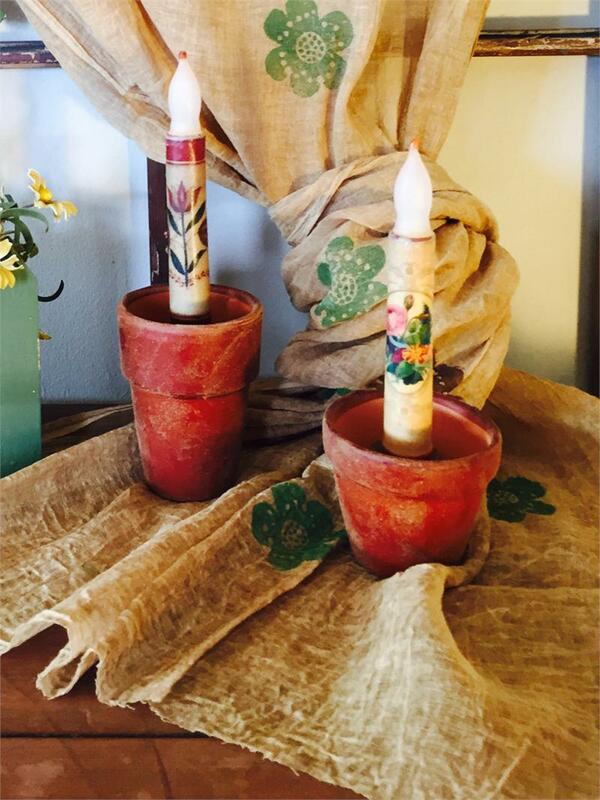 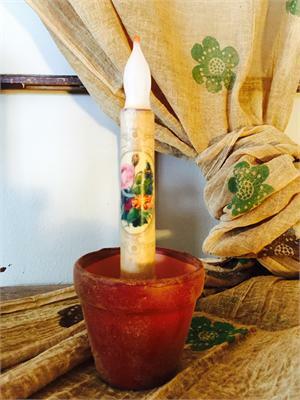 Earthy Clay Pot With taper candle holder fit LED candles approx 2" dia and 2" tall. Accessories are not included only the Earthy Clay Pot. Accessories are available on our web site.